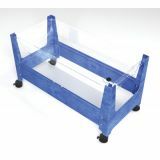 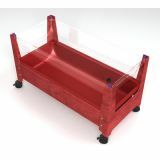 Clear liner allows unobstructed view of sensory activities. 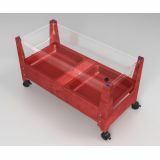 Moisture-resistant high impact resin table can be used indoors or outdoors. All include white plastic lid and four 3" locking casters. 46"L x 21"W x 24"H.